Hi everybody !!! Did you know that the mother of little black dress was Audrey Hepburn? I like her too much... Actually, every woman must have at least one at her wallet. I have ordered this printed mini dress, necklace and bracelet from zaful. I think it looks not bad with my new boots. I love this art of accessories. 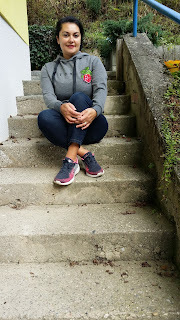 My grey hoodie dress with a rose embroidery is also from zaful. 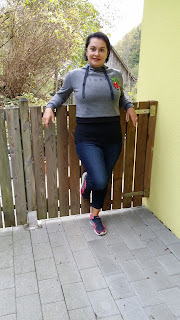 As a curvy lady I wear hoodies always with a longer top. As an active mother I find hoodies are very comfortable for everyday.